We've recently received some pretty sweet mail from friends and family. 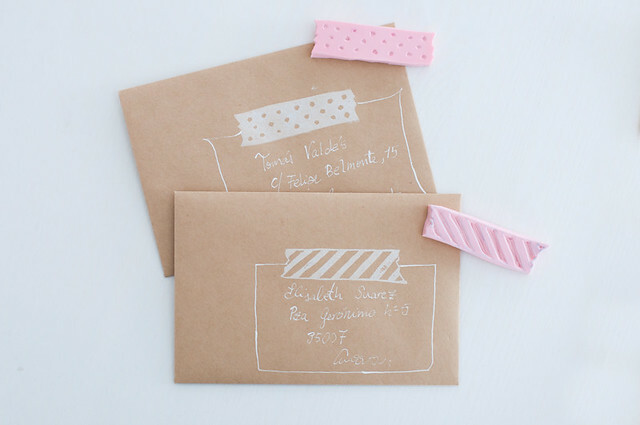 Scribbled notes on gorgeous stationery, often sealed with washi tape. 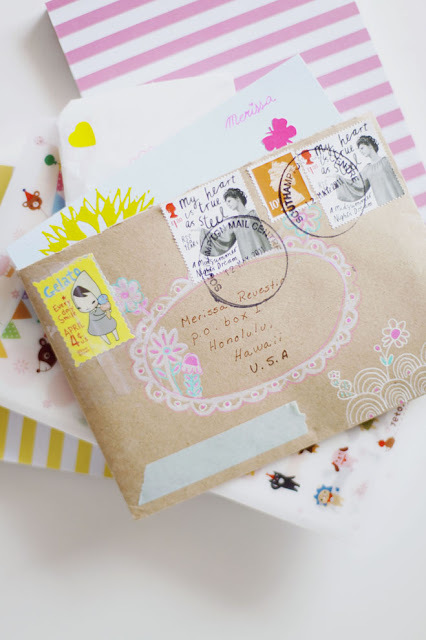 Who doesn't love a good piece of real, hold-it-in-your-hands-with-not-option-to-click-forward-or-delete snail mail? So I've been doing my research. (You know, on Pinterest, where all scientific research is done.) I thought if I shared some of my findings, we'd all be inspired to be more thoughtful, and send a handwritten note or package today! I'm going to start sending some fun mail and taking pictures. 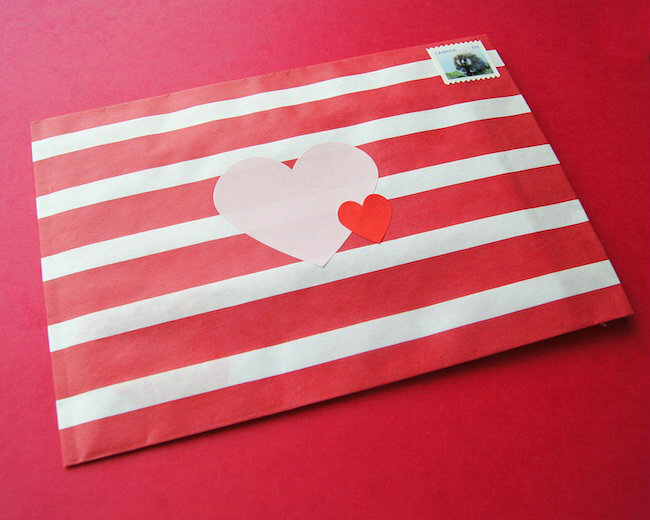 Will YOU ALSO send some fun and/or pretty mail, and send me the pictures to post on my blog? We'll all inspire each other! This is gorgeous. 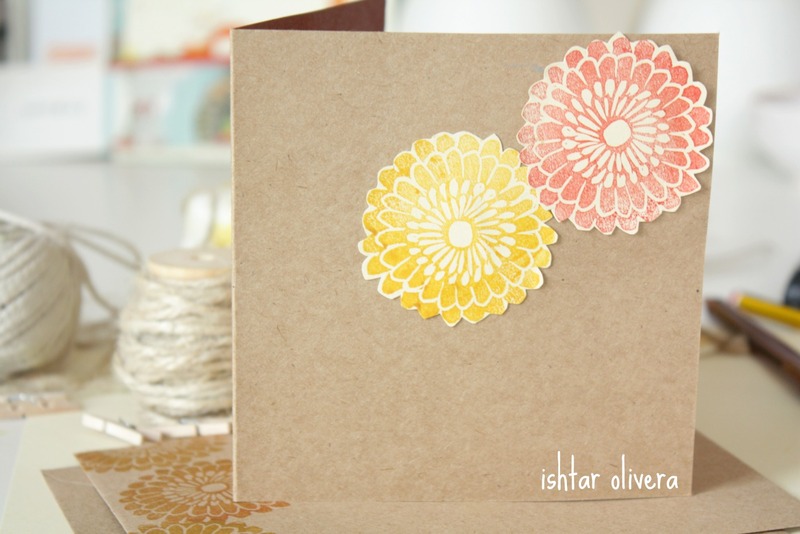 Brown craft paper looks fantastic with simple gel-pen doodles and an artistic collage of pretty stamps. 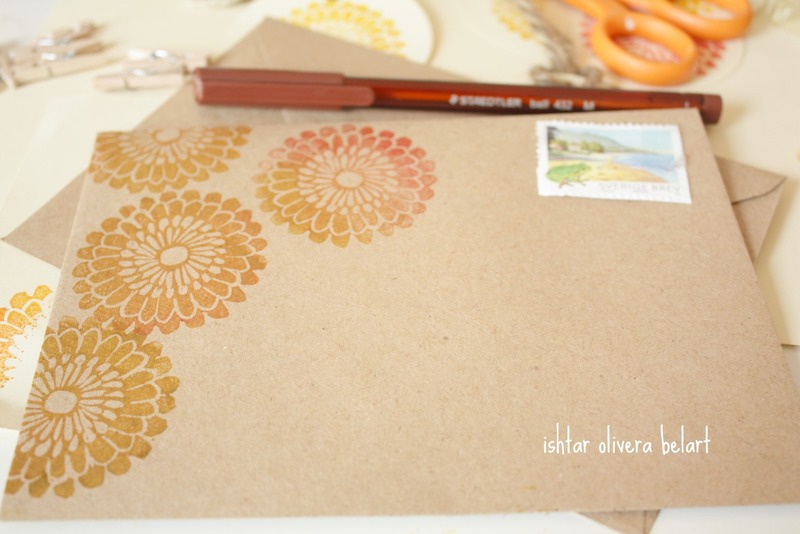 I've noticed many people purposely buy lower-value stamps so they can paste more of them along the envelope like a mini-gallery. I want this bird stamp! What a stunning package. Can you tell I love brown craft paper? But I'm also a fan of color. 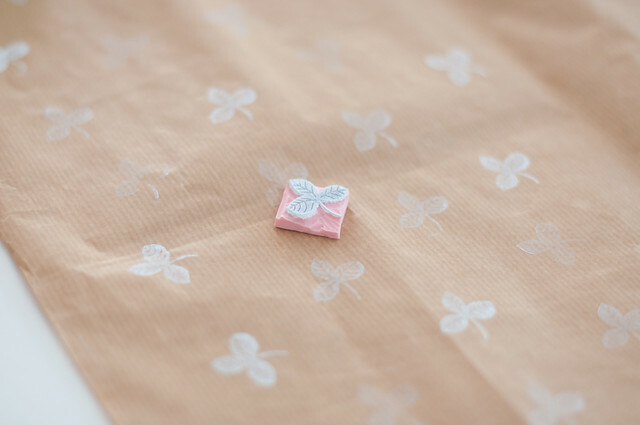 Those little houses are made of washi tape! Now go send some mail!